A year ago now, in March 2017 first Managed Aquifer Recharge (MAR) stations were installed at six locations in Dak Lak to test the technology and decide on its future implementstion in the Central Highlands to help coffee farmers deal with water scarcity during the dry season. The concept of MAR is to capture and redirect rainfall water during the wet season into the farmers’ wells through a filtering system. 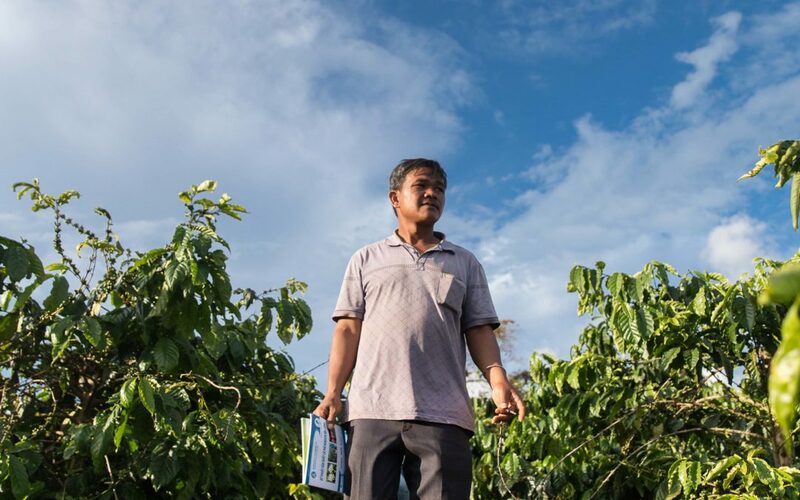 The initiative is financed by Nestlé/Nescafé and the Swiss Agency for Development and Cooperation (SDC) as a part of HRNS’s Water Management project and is being implemented in cooperation with IWMI, CGIAR and GRIPP. Over the past year the MAR trials have gone through a series of modifications to increase water capturing capacity and filtering efficiency. 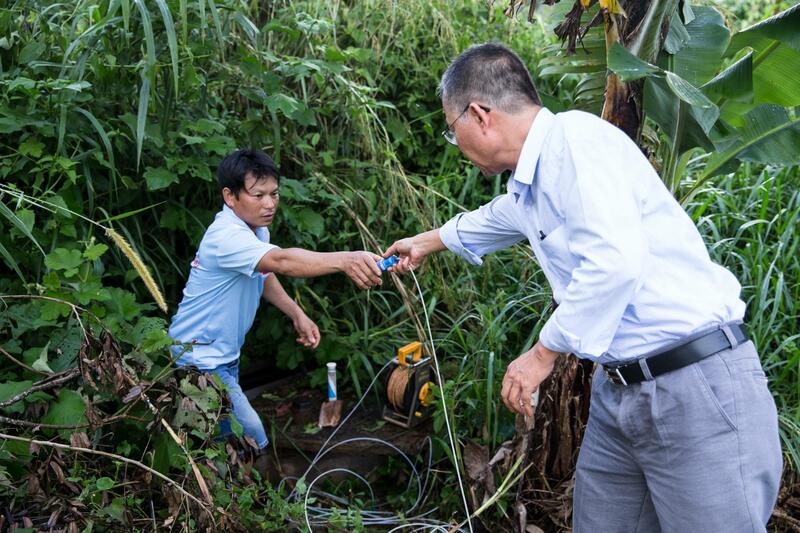 HRNS Water Expert Mr. Vinh has monitored the system in action measuring the amount of recharge water and collecting samples for water quality control. The first tests conducted by independent domestic and international labs indicate that the chemical composition of the recharge water is of good quality and safe for agricultural use. Every week Mr. Vinh checks the data loggers and registers all the changes in water level dynamics in a special online journal that is regularly being reviewed and analysed by the IWMI specialists. All MAR trials are being compared against nearby control wells. After careful revision of the first year’s monitoring data the team will decide on expanding the number of sites and streamlining the application of the system for farmers. Our North American organization Coffee Kids has released their annual report for 2017.